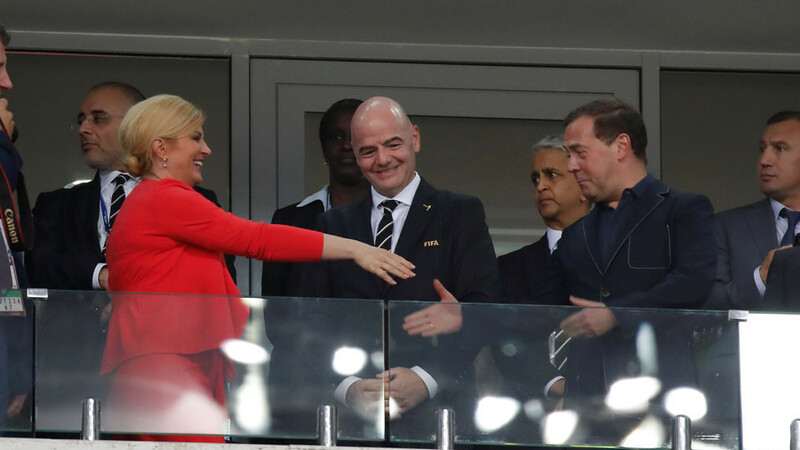 Prime Minister Dimitry Medvedev and Croatia’s first female President, Kolinda Grabar-Kitarovic, shook hands warmly when they met at the World Cup meeting between their two countries in Sochi. 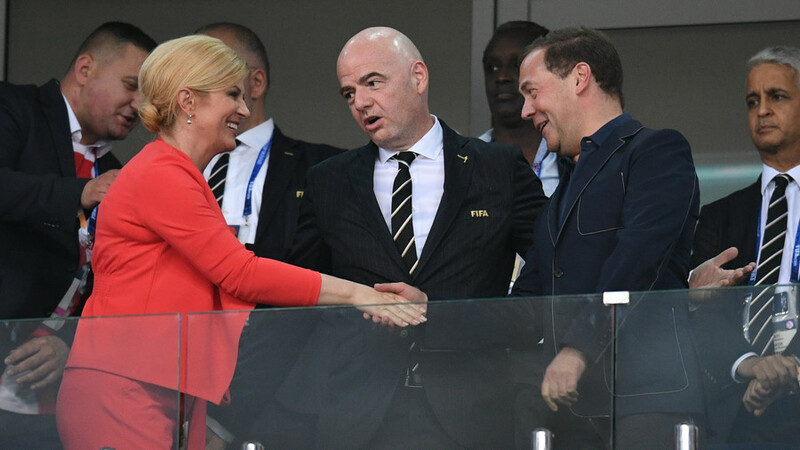 Medvedev and Grabar-Kitarovic were pictured in the VIP sector of Fisht Stadium together with FIFA's Gianni Infantino, and retired Croatia legend Davor Suker, who played the last time Croatia reached the World Cup semi-finals in 1998. 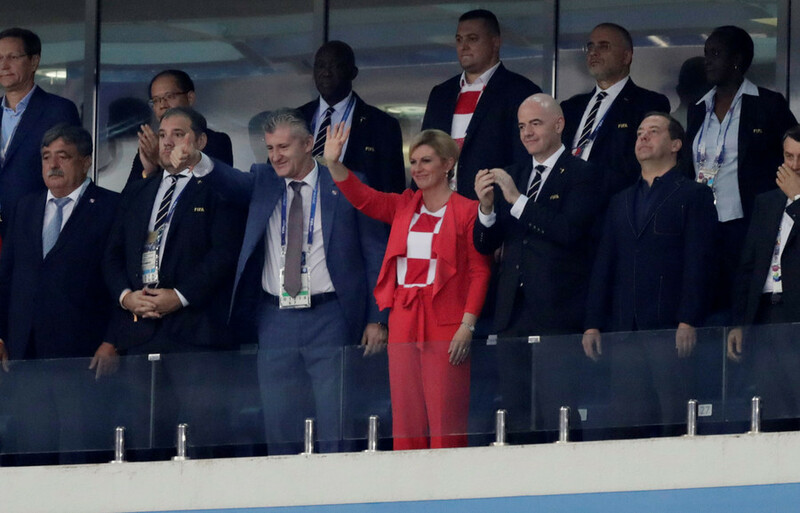 Grabar-Kitarovic attended Croatia’s round of 16 penalty shootout win against Denmark, where she opted to watch the match with fans in the stadium rather than the traditional VIP areas reserved for dignitaries. 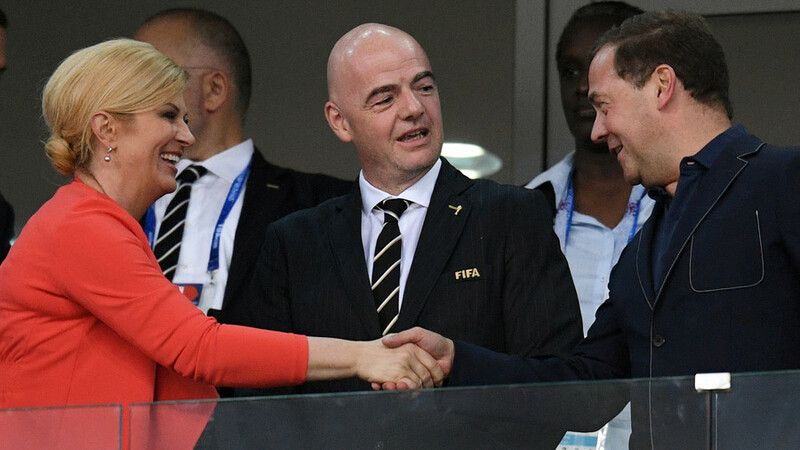 The winner of the tie in the Fisht Stadium will play England in the World Cup semi-final in the Luzhniki Stadium on Wednesday.